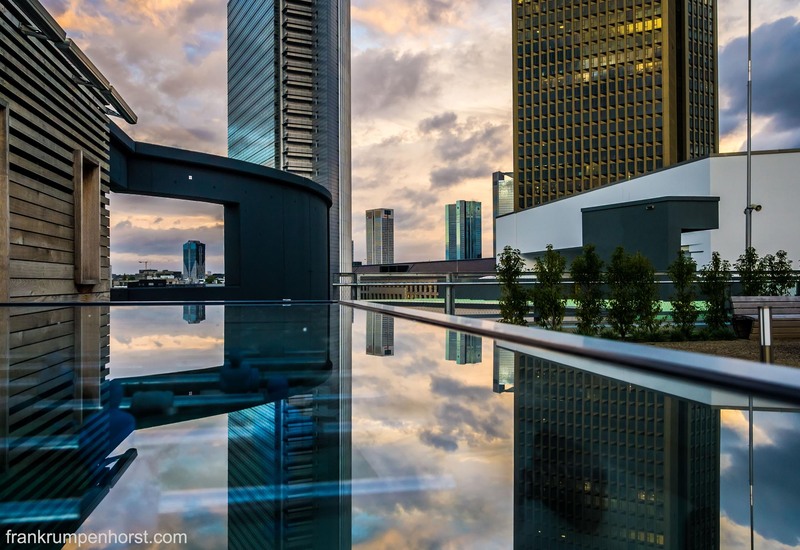 Buildings are reflected by the shiny surface of a desk in an office building in Frankfurt, Dec. 7. 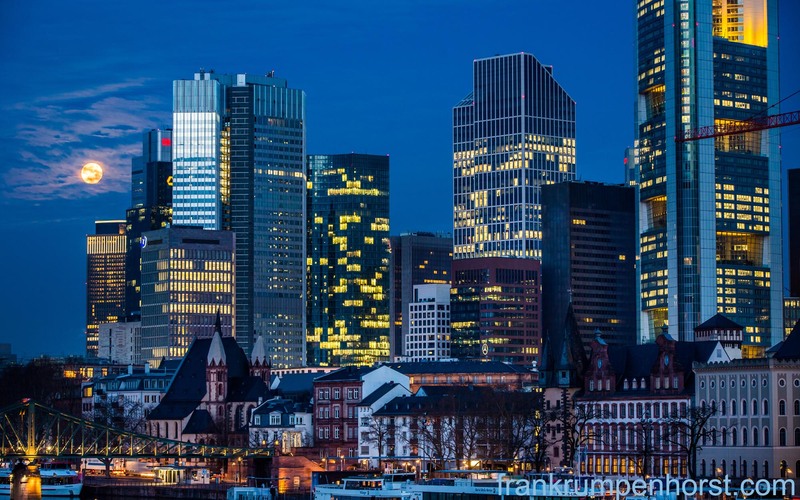 A view of Frankfurt, taken from a railway bridge across the Main river, Nov.23. 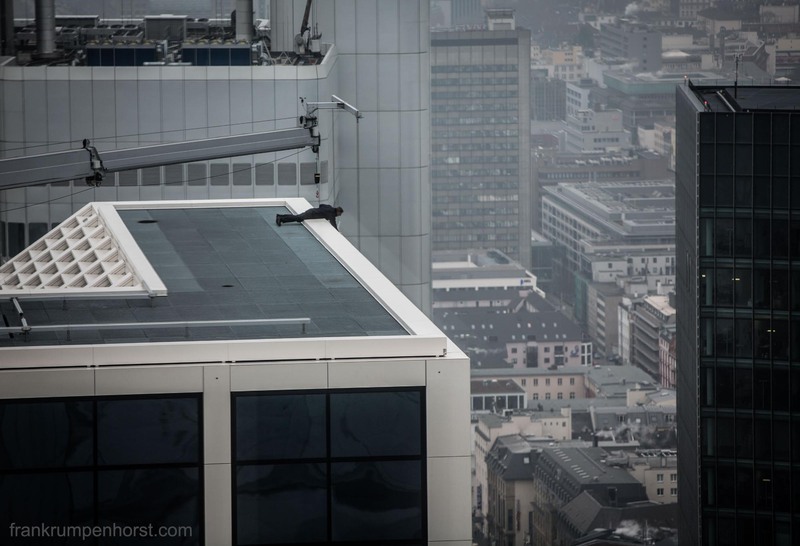 A worker leans over to talk to his colleagues who are cleaning the windows of one of Frankfurt highrise buidings, Feb.12. This morning, I went down to Main river trying to catch a picture like this with the setting full moon. It was pretty cold, by the way. 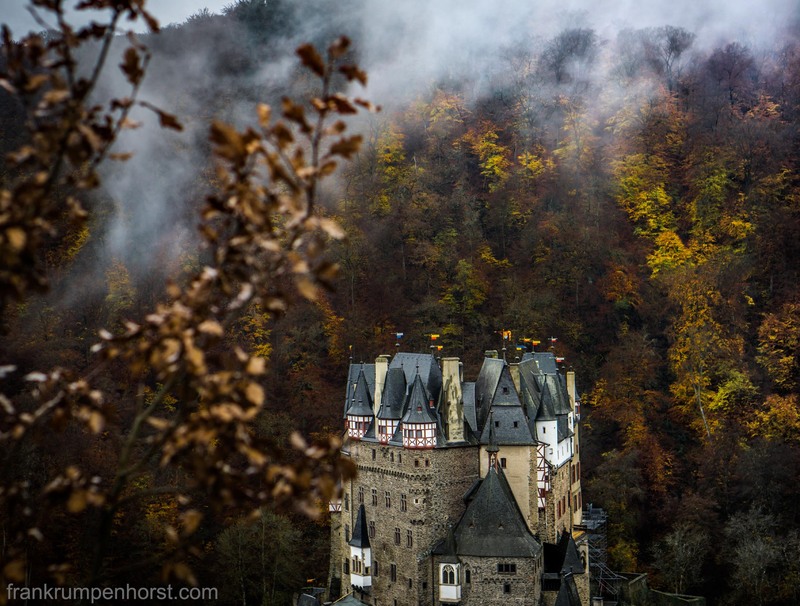 Eltz castle, a medieval castle situated in the hills near river Moselle, photographed on Nov. 16. It is one of the few castles that have never been destroyed. The owners are descendants of the same family that lived here in the 12th century. 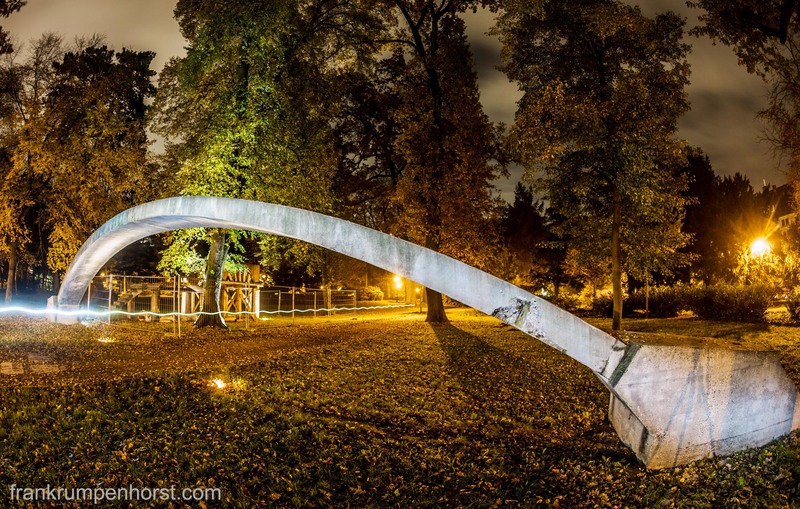 A bridge spans over a footpath at a park in Offenbach, just east of Frankfurt, Nov.10. It is one of the two oldest concrete structures without steel armouring in Germany still standing today. Together with a small temple (seen in background) it was erected in 1879. The buildings near Frankfurt’s fairgrounds are reflected by the covering glass of a table soccer, Oct.22.